At Champion, we are always looking for ways to streamline, economize, accelerate and continually improve our processes. This says something, considering our operation already runs like a well-oiled machine, with experienced employees overseeing every aspect of our business. 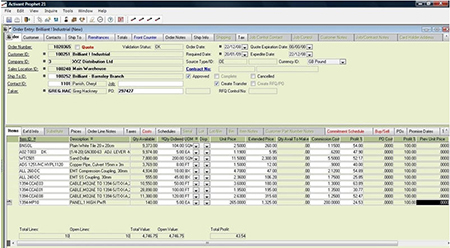 We also regularly invest in actual well-oiled machines, like Prophet 21 Distribution Software, a remarkable tool that helps us with order accuracy and planning and inventory/warehouse management. Then there’s our new state-of-the-art Vertical Lift System – 15’ high, with 2,400 bin locations, it acts as a watchdog for warehouse accuracy, speeds up our process, and conserves valuable space. 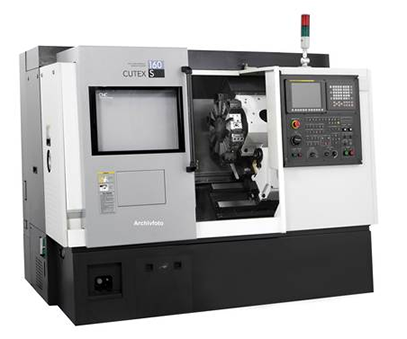 We have recently acquired a HWACHEON CUTEX-160 Horizontal Turning Center which enables us to provide a wide range of applications for our customers from small component machining to large-size processing. In addition, Champion utilizes bar coding and wireless integration. 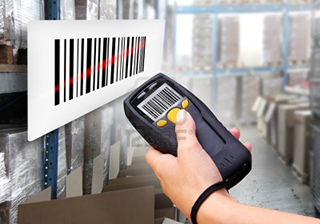 Bar code guns in hand, our warehouse team verifies that what’s on the shipping ticket is what’s in the box, which is helpful in an industry where it is critical to have complete and accurate documentation. Subscribe to our newsletter to receive valuable news, strategies & insights. Please check your Inbox and click on the link in the email to confirm your subscription. 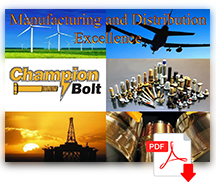 © 2015 Champion Bolt, Inc. All Rights Reserved.